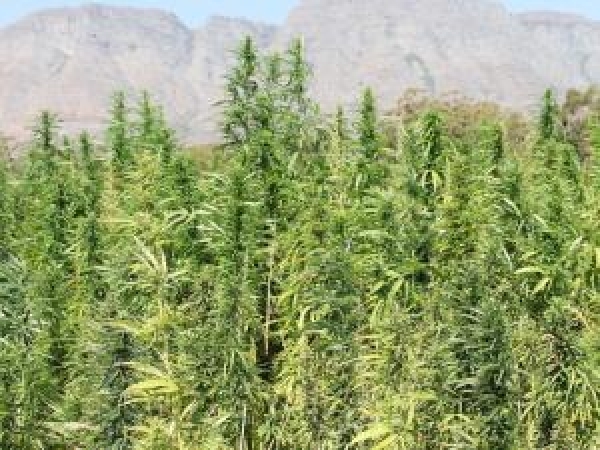 A multimillion-rand project launched 14 years ago for South Africa to grow and produce hemp has virtually stalled because of legal glitches, says the government. Ayabulela Ngoqo, the Eastern Cape’s Rural Development and Agrarian Reform Department spokesman, said the project, launched in 1999, had focused on job creation, but in 2006 had come to a halt. Equipment meant to have been used in hemp processing remained in storage. “The challenge is the legislation,” Ngoqo told the Cape Times. Hemp, grown in other countries as a fibre and oil seed crop, belongs to the same family as dagga, and in South Africa dagga is illegal. A 2011 a Department of Agriculture, Forestry and Fisheries document on hemp said the Drugs and Trafficking Act prevented the possession, processing and commercialisation of hemp. It said the Medicines and Related Substances Act “allows possession and cultivation of hemp for research purposes only”. It said the government, with the private sector, was “trying to sort out the hemp legislation” so it could be commercialised. Despite 14 years having lapsed since the national hemp project’s launch, the envisioned hemp project remains in the research phase. The national hemp project, linked to various government departments, had an agriculture and commercial aspect. While the agriculture aspect appears to have ground to a halt, the commercial side continues. In a speech 12 years ago, then-arts and culture minister Ben Ngubane said the Western Cape was among the best areas in South Africa for growing hemp. He had said the national project was aimed “at reducing poverty through… the cultivation, processing, manufacturing and marketing of South African hemp”. “South Africa now boasts a burgeoning hemp industry, with the promise of thousands of jobs, economic empowerment for our previously disadvantaged communities and the stimulation of the small business sector,” Ngubane had said. Aside from legislation, Ngoqo said hemp seeds had not been available locally and needed to be imported from Hungary, which was “very expensive”. He said the department had been ready with equipment, funds and experts to help farmers, but in 2006 the agriculture aspect of the project was halted. Ngoqo said some of the R15m investment was used for research, and some had been spent on buying oil-pressing machines. The department had kept the balance for when it could use it on the project. When the project’s agricultural side collapsed, the commercial part of the project was focused on. In 2001, House of Hemp, a company that sold hemp products, was founded by Thandeka Kunene and launched by Ngubane. Three years ago, Kunene was tasked with co-ordinating the commercial aspect of the hemp project. She did not respond to queries by yesterday. Tony Budden, a partner with Duncan Parker in the Hemp company Hemporium, said that with Kunene, it was involved in a three-year “commercial incubation research trial”. He said that about two years ago, the Health Department issued permits for commercial hemp research which enabled them to grow hemp in four areas – three in the Eastern Cape and one, near Wellington, in the Western Cape. Through the company, Rapula Farming, five types of hemp had been grown on a two-hectare plot near Wellington. Budden said it was hoped another commercial research permit would be issued this year for more hemp, this time one type, to be grown in the province.